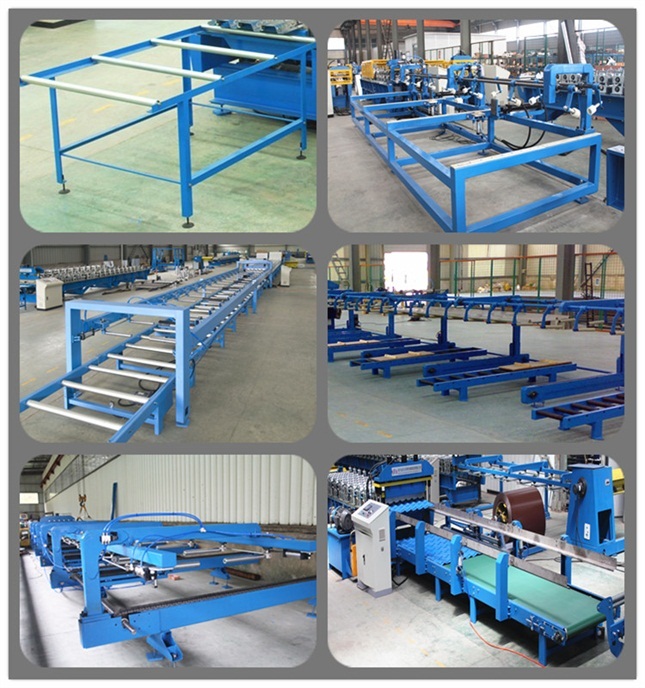 Metal trapezoidal or Corrugated Roll Forming Machine is a roof/wall panel roll forming machine for continuous rolling and cold-forming on steel sheet. 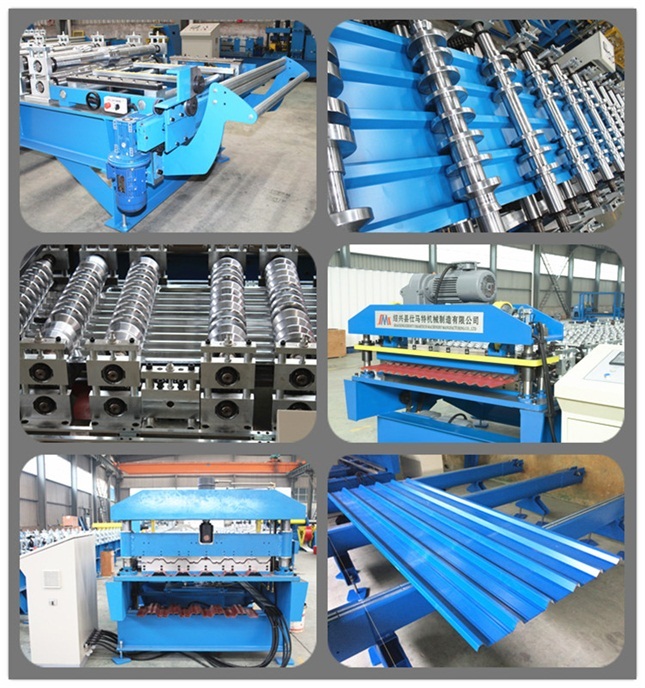 The roof/wall panel roll forming machine adopts coiling steel sheet as the raw material and coil car to feed the coil sheets to the decoiler. 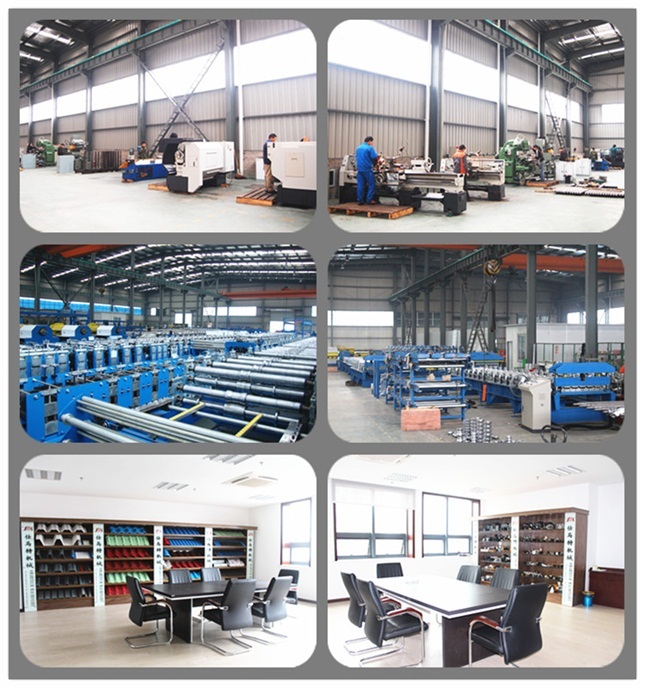 Through decoiling, continuous rolling and cold-forming, the coil sheets are automatically cut to the size and specification required. 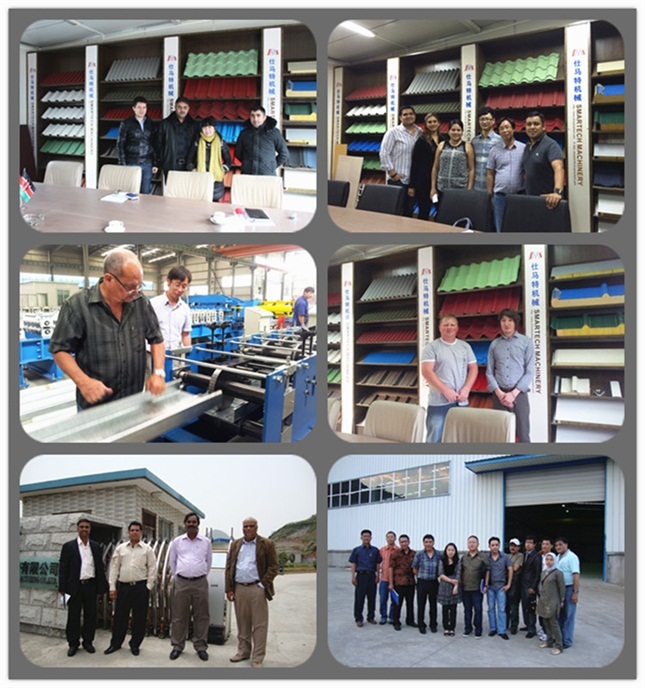 The stacking of finished panel can be also done automatically. It adopts PLC control, AC frequency and speed adjusting technology to realize continuous work automatically. 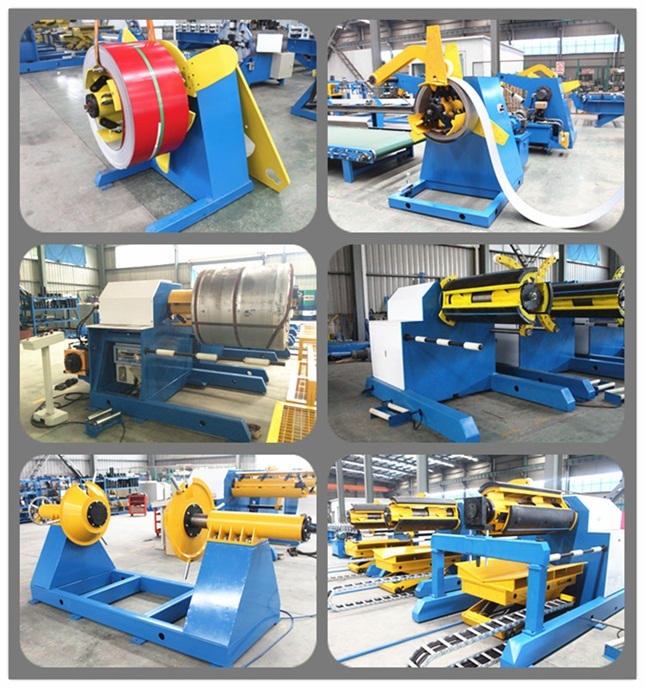 The roll former is energy-saving and high-effective to be used for trapezoidal or corrugated steel. 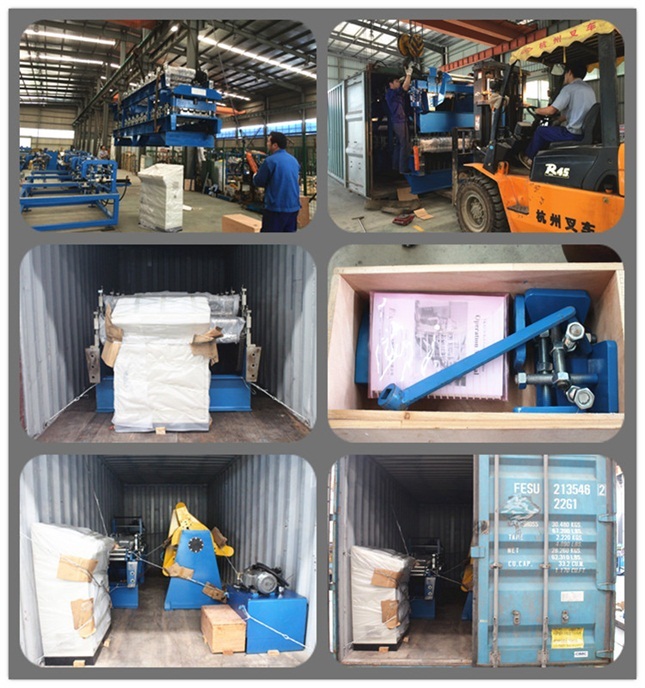 The main machine is naked loaded in the container and the spare parts are put in the wooden box.